Space is always at a premium in the kitchen – and so is a sense of style. The two come together neatly in the advanced Eclipse Pocket Door mechanisms by Salice. 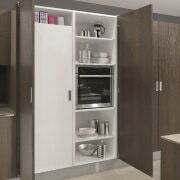 The sophisticated cabinet door mechanisms attached to cabinet or cupboard doors and allow your door to pivot 90° to slide back to sit within a double cabinet wall – the perfect, easy-to-achieve disappearing pocket door. 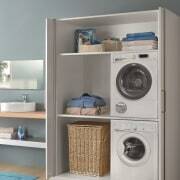 Architects and designers in particular know that Pocket Doors are brilliant when you have limited space. 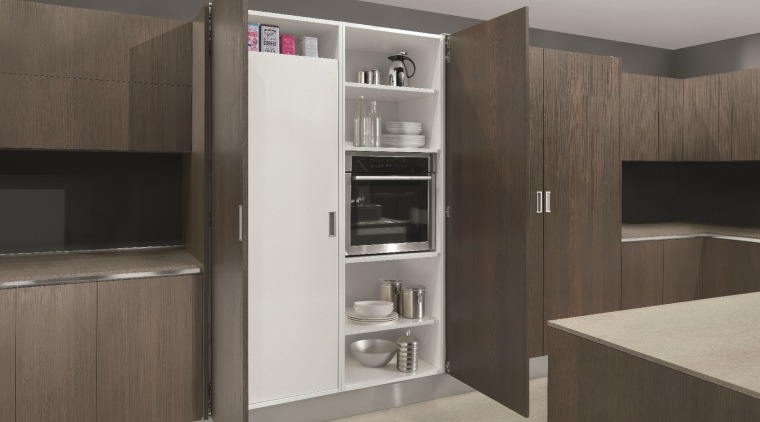 They’re also ideal for when you have a work surface or work area housed in a cabinet and need the doors to be out of the way – so that traffic in surrounding areas is not compromised. There are several areas where Eclipse Pocket Door mechanisms really come into their own. 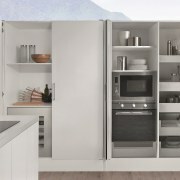 These include kitchen pantries, integrated kitchen work spaces or appliance areas, a laundry space within a bathroom or kitchen or even to contain a pull out desk/office area. 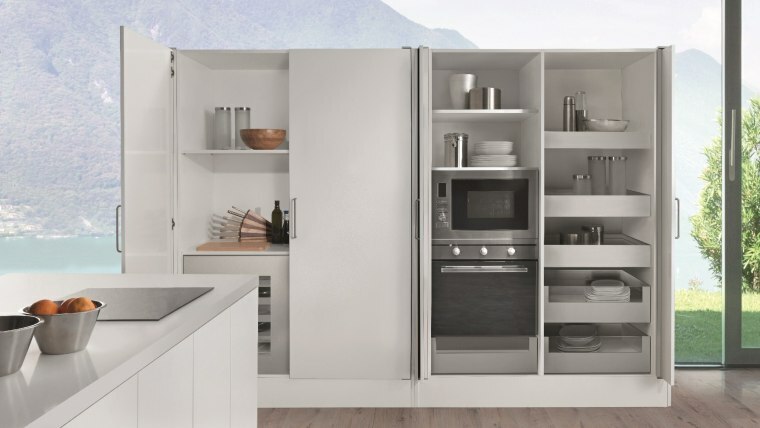 Salice Eclipse Pocket Doors are ideal for when you have limited space and open doors get in the way or impact on traffic flow in surrounding areas. 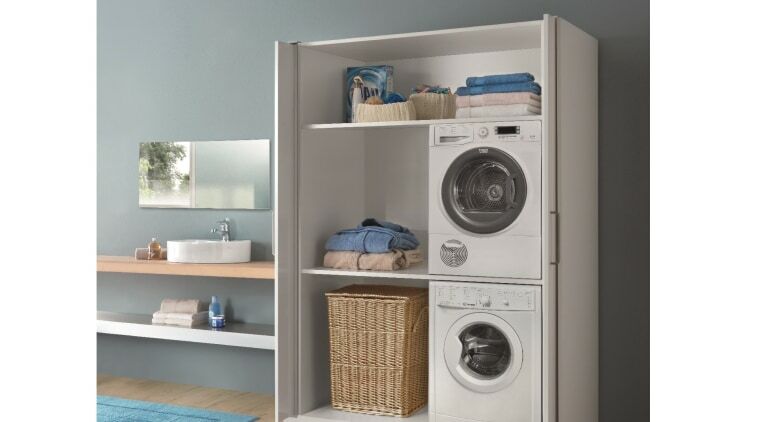 Salice Eclipse Pocket Doors are ideal for all small spaces in your home.